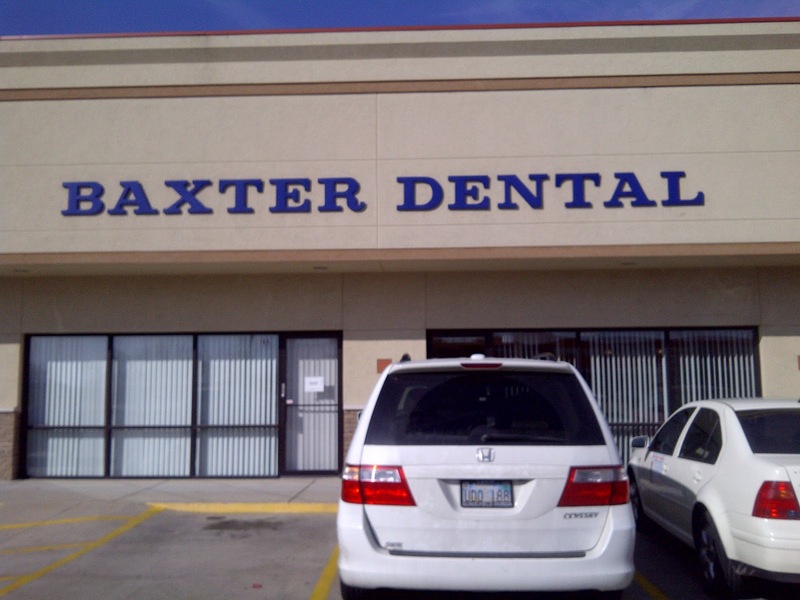 The Dentist………And More – He Said What?! We left the dentist just before 11:15. I asked Aaron if he wanted to eat lunch first, and he said, “No. It’s not 12:00 yet.” Oh, of course. Lunch is at 12:00 – not at 11:30. How ridiculous of me to forget that! 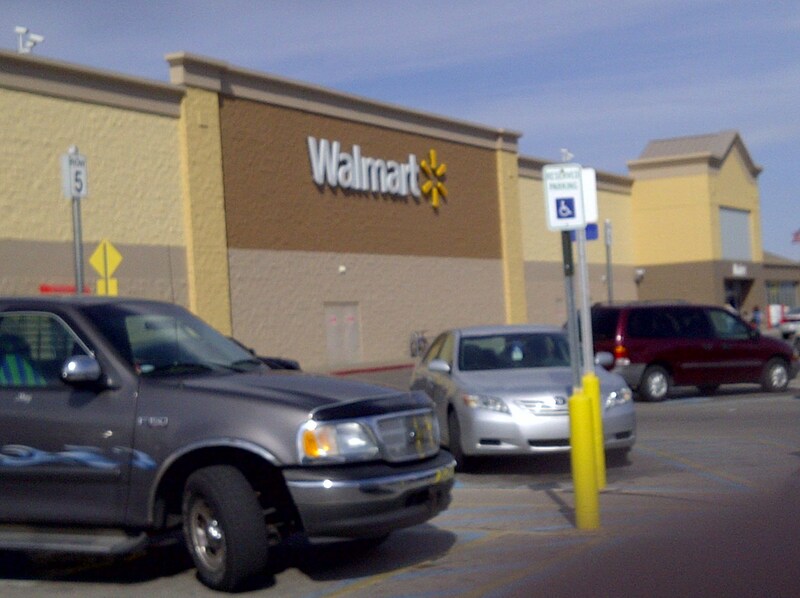 Off to Wal-Mart we went. Aaron knew that we were going to get him a new lamp for his nightstand, since his old one got too hot the other night and nearly burned a hole in the plastic shade. No more plastic shaded desk lamps! I had a few other purchases to make, with Aaron lumbering beside me, trying to be patient. He saw no need for Q-tips or dental floss when all he had on his mind was his new lamp…….oh, and a new pair of headphones for when he plays his computer games. He did very well, though, and I only had to remind him a few times to not clap and to quit making those “passing gas” noises that make people stare at ME! He finds that fact to be quite funny. I don’t. 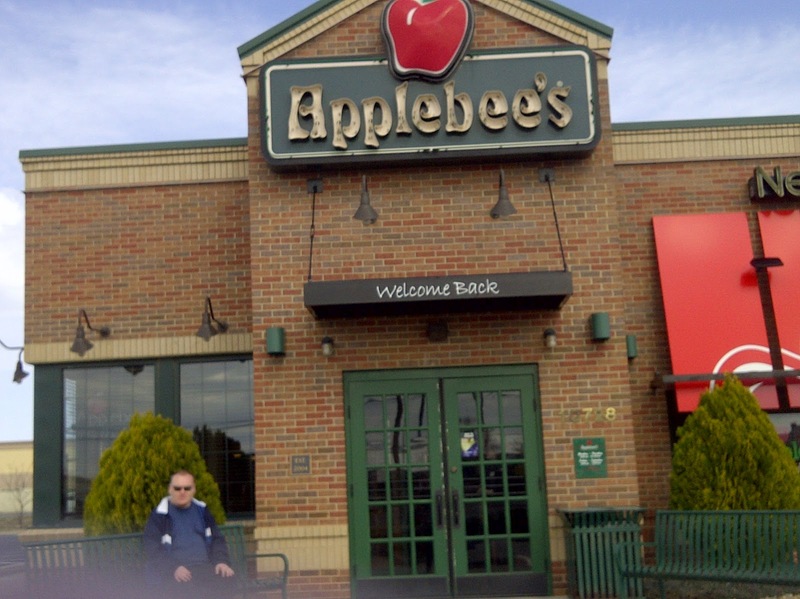 He was very happy to walk into Applebees for lunch, even though it wasn’t quite 12:00 yet. Close enough, though, so he agreed. We were seated in a booth in the bar area, which makes Aaron ask if he can taste some Coors Light……..and then laugh because he knows that he is so funny. “Well, Mom, I always wondered what beer tastes like.” Right, Aaron. Keep wondering. He decided to get some Strawberry Tea and after asking the waitress what the Fiesta Lime Chicken was, and not really understanding a word of what she said as she described it, he told her that he would order that. I got a salad, and with our two for $20.00 I got us the onion rings for an appetizer. Aaron loves onion rings and wanted to know, as always, how they are made. He wondered how they got the hole cut in that ring and stuffed the onion inside. So once again I explained about the batter and the hot oil, knowing that we will have this same discussion again one day. The onion rings were very crumbly on the outside. Aaron doesn’t like getting crumbs or oil on his hands, so with every bite he would turn and rub his hands together to remove the crumbs, then wipe them on his napkin. EVERY SINGLE bite, mind you, would result in the hand rubbing and the hand wiping. This is quite the process, which means that we didn’t finish the onion rings and the remainder are now in our frig……….waiting for the process to be repeated again. Aaron’s Fiesta Lime Chicken came. I was so surprised that Aaron didn’t ask for the Whiskey Sirloin Steak and I didn’t remind him, believe me. He was intrigued by the little red tortilla strips that the chicken breast was laying on. “Mom, what are those? They’re weird looking.” He proceeded to eat them one by one, by hand, until finally he couldn’t remove any more of them from under the chicken. Next came the rice, hard for him to eat with a fork and not a spoon, but he managed just fine…….slow but sure………picking up every single grain of rice that dropped on the table with his fingers……..and finally eating every single little grain from his plate. Machetes? Uh, no Aaron……..that would be confetti. Falling machetes would be rather painful, don’t you think? And again he thought that he was very funny. He finally managed to get all the hidden tortilla strips out from under the chicken and safely eaten so that he could then eat the chicken……..boneless, the way he likes his chicken. He didn’t want the lime, he said, because it’s too sweet. He changed that to sour after I squeezed some on his plate for him to try. He decided to turn around and stare into the booth behind us to see what that family was eating and why the waitress and manager were laughing so hard. They were very kind, as was the waitress when Aaron asked her if her job was hard and did she like it. He bounced to the peppy music, clapped several times, asked if rain tonight might come out, tried to sneak over to the bar for a toothpick, and made sure that every weird red tortilla strip and grain of rice was eaten. He polished off his second glass of Strawberry Tea, and then asked what was for supper. “Is it boneless?” he asked. No, Aaron, it does have bones. But no weird red stripped tortilla or sweet lime. And definitely no falling machetes! !